Mad Max: Fury Road dominated with six wins for production design, costume design, makeup and hair, film editing, sound editing and sound mixing. And yes, it is remarkable that the costume designer (I was rooting for Sandy Powell who dress the inimitable Cate Blanchett in Cinderella and Carol, and was nominated for both) looked scruffy and underdressed for the occasion but with the glitz on the back of her jacket, it’s clearly a style choice. The cobbler needs new shoes? It’s the only movie I haven’t seen and my son says I really should, if I want to call myself any kind of feminist. It just looks a shade too loud and violent for me! The big wins were all over the place, a mix of the expected and surprises. 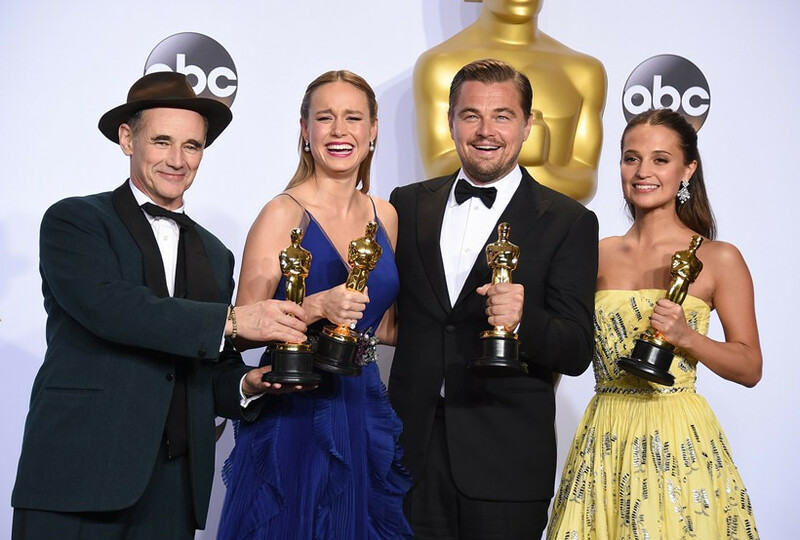 In my opinion, the Best Picture award could have gone to Spotlight, The Big Short, Mad Max or the expected winner The Revenant, but Spotlight, a great movie with an important message and a fabulous ensemble cast won, along with Best Original Screenplay, and that felt right. The Revenant still won critical awards, recognizing Alejandro Inarritu for his genius with Best Director, Emmanuel Ubezki for his vision with Best Cinematography & Leonardo DiCaprio with Best Actor as much for his acting as for his endurance in the wilds while making this movie and his endurance in the industry —he’s been a working actor since the late 80’s, his first of five nominations came in 1994 for What’s Eating Gilbert Grape? Leo, always a winner in a tuxedo, was sweet and humble as the winner, and used his win to remind us of the reality of climate change. So now that’s it, done. As much as I love him we don’t have to worry about Leo & Oscar, we can go back to wishing Leo & Kate would reunite in something. Anything. Or perhaps he and Brie could get up to something good? 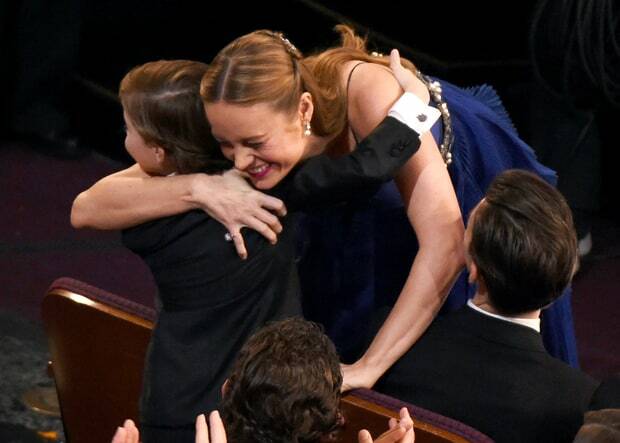 When Brie Larson won Best Actress as expected, her Room co-star Jacob Tremblay cheered her on, looking as proud as only a real son would be. And the moment he stood up and craned his neck, his mouth wide open with wonder at the sight of the Star Wars characters on stage was out of this world. I hope Hollywood doesn’t change that kid, that he doesn’t grow up too soon. Famous last words. Mark Rylance—who stole the Best Supporting Actor award from presumed winner Sylvester Stallone—made one of the best acceptance speeches of the night. I became familiar with Rylance in last year’s Wolf Hall where he gave a similarly low-key, absolutely brilliant performance as he did in Bridge of Spies. Rylance won my heart with his gracious acceptance speech when he said: "I want to just say thank you to my fellow nominees. I don’t know how they separate my acting from your glorious acting in these wonderful films that you’re in, which everyone must see. 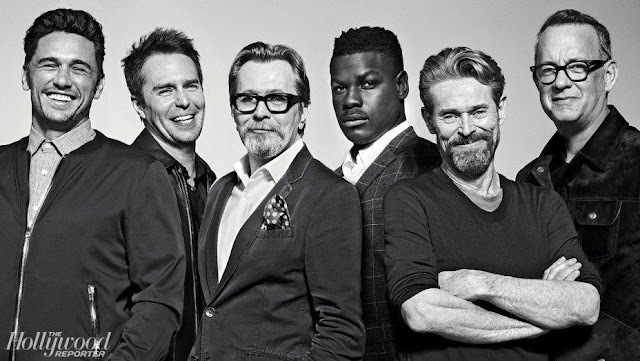 I don’t know how they separated the five of us from all the other supporting actors who are making films at the moment. It’s a wonderful time to be an actor and I’m proud to be part of it.” That’s the kind of celebration of film I want to see more of. Alicia Vikander —second only to Cate Blanchett in terms of What a dress!—won for Best Supporting Actress and while I LOVE Kate Winslet and thought she was brilliant as usual in Steve Jobs, Vikander broke my heart in The Danish Girl. I’ve said it before in this space, Vikander almost stole the movie from Eddie Redmayne. While the ‘who are you wearing’ ridiculousness was rightly de-emphasized, Cate Blanchett wore it amazingly well. The dress was striking in its simplicity of construction, perfect fit, flattering color and all those frothy flowers, which only Cate, strong, outspoken, feisty Cate could pull off without being overshadowed. 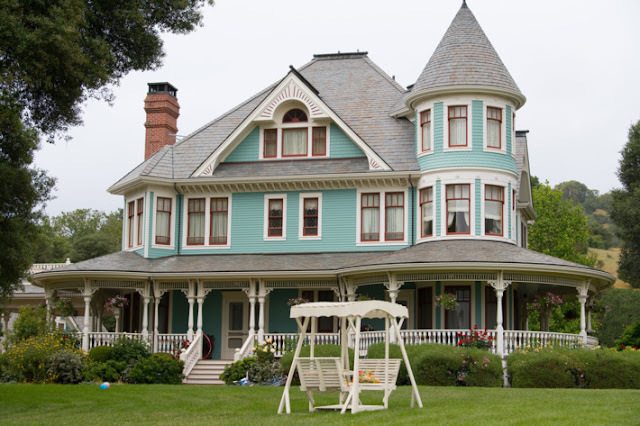 The good news is there are already stories with men and women of color coming down the line. Films made prior to, and having nothing to do, with this big to-do. Movies made by producers, writers and directors who already recognized the value of showing the world as it is. The first is Our Kind of Traitor, which you’ll find under the tab Movies Based on Books 2016. Based on the LeCarre novel, Our Kind of Traitor stars Damian Lewis, Ewan McGregor and Naomie Harris (in a role not written as black), directed by a woman, Susanna White. 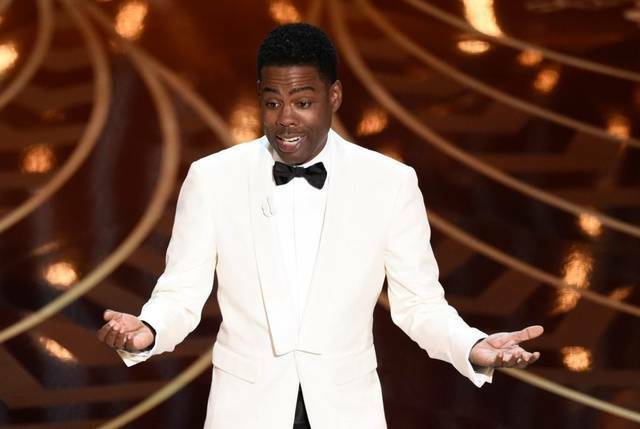 They didn’t talk about that lack of diversity last night. It’s coming out May 13 in the UK, no date so far in the US. Perhaps this controversy will stir things up? Hope so! 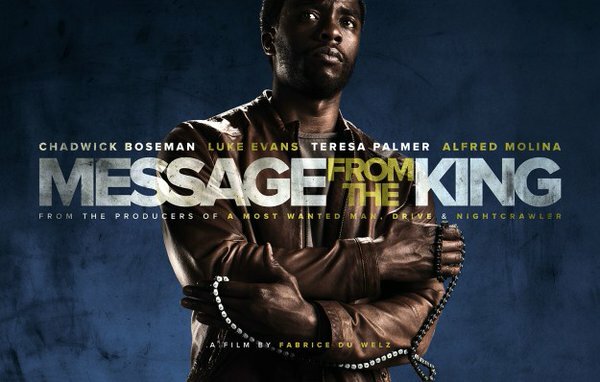 The Ink Factory also has Message from the King with Chadwick Boseman, Luke Evans & Theresa Palmer coming out sometime in 2016. About a ‘mysterious outsider named Jacob King from South Africa arrives in Los Angeles to avenge his younger sister's death.’ My husband worked on that one, produced by LeCarre’s sons, Simon & Stephen Cornwall, the men behind the Ink Factory label. And I went to the wrap party and met Chadwick, a hunky nice guy with a whole lot of charisma. 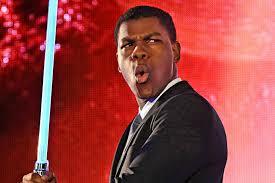 We’ll also be seeing Star Wars leading man John Boyega playing a pivotal part in The Circle, a role not specifically written as black in Dave Eggers novel, but cast as a young black man by director James Ponsoldt. I just finished the book; loved it but have a feeling I’ll love the movie more. At 500ish pages, there’s definitely material that can be edited away to make a fine film. So that’s just a few projects to look forward to seeing at next year’s Oscars. Did you enjoy this year’s show? Let me know, I love hearing your thoughts. I didn't get the Costume Design Oscar to Mad Max at all, especially given the competition with Cinderella (and in the trailer they passed to show us the costumes, the actors were basically half-naked). I didn't see The Danish Girl yet but when Alicia Vikander won I briefly thought that the Academy didn't want to give the two Titanic co-star an Oscar the same night. I absolutely loved Kate's performance in Steve Jobs but it seems Alicia's win was deserved. I was surprised by Spotlight, honestly. I was almost sure that Inarritu wouldn't win both Best Director and Best Picture this year but I thought that would give it to The Martian for popularity's sake. Happy that Mad Max didn't win though!